Let’s suppose that you were involved in a car accident with an impaired driver. Can you recover punitive damages in addition to your compensatory damages? In North Carolina, it’s possible that you can. Upon the motion of a defendant, the issues of liability for compensatory damages and the amount of compensatory damages, if any, shall be tried separately from the issues of liability for punitive damages and the amount of punitive damages, if any. Evidence relating solely to punitive damages shall not be admissible until the trier of fact has determined that the defendant is liable for compensatory damages and has determined the amount of compensatory damages. The same trier of fact that tried the issues relating to compensatory damages shall try the issues relating to punitive damages. North Carolina’s punitive damage legislation was enacted relatively recently in 1995, so there are only a few cases that interpret these provisions in the context of an automobile collision with an impaired driver. However, courts have held that “Chapter 1D reinforces the common-law purpose behind punitive damages." In addition, looking at the cases that address punitive damages in an automobile collision with an impaired driver pre-1995, the courts’ reasoning in those cases seems consistent with the current statute, and cases post-1995 have continued to use pre-1995 cases to support their analysis. Cases that do award punitive damages to an injured plaintiff in an automobile collision with an impaired driver include testimony of officers as to the defendant’s glassy eyes and the results of specific field tests as well as Breathalyzer results. Some cases have even included testimony from the defendant acknowledging how much alcohol they consumed or even that they knew they were drunk when they got behind the wheel of the car. In contrast, cases that do not award punitive damages have only a general allegation of impairment or a smell of alcohol on the defendant’s breath. Notably, these cases do not have Breathalyzer results introduced as evidence. A pre-1995 case, in which the defendant plead guilty to DWI but where the plaintiff did not provide other evidence of impairment, held that the plaintiff was not entitled to punitive damages. In addition, courts have looked at the purposes of the punitive damages statute which is “to punish a defendant for egregiously wrongful acts and to deter the defendant and others from committing similar wrongful acts.” Each of these purposes must be served in order to award punitive damages. So in the 2008 case Harrell v. Bowen where the defendant was no longer alive, the purpose of punishing the defendant could not be served and therefore the plaintiff was not entitled to punitive damages. If you have been injured in a car accident, it is important to hire a lawyer who understands all aspects of punitive damages. 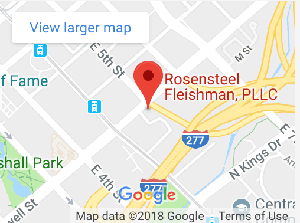 Contact an attorney at Rosensteel Fleishman, PLLC (704) 714-1450.